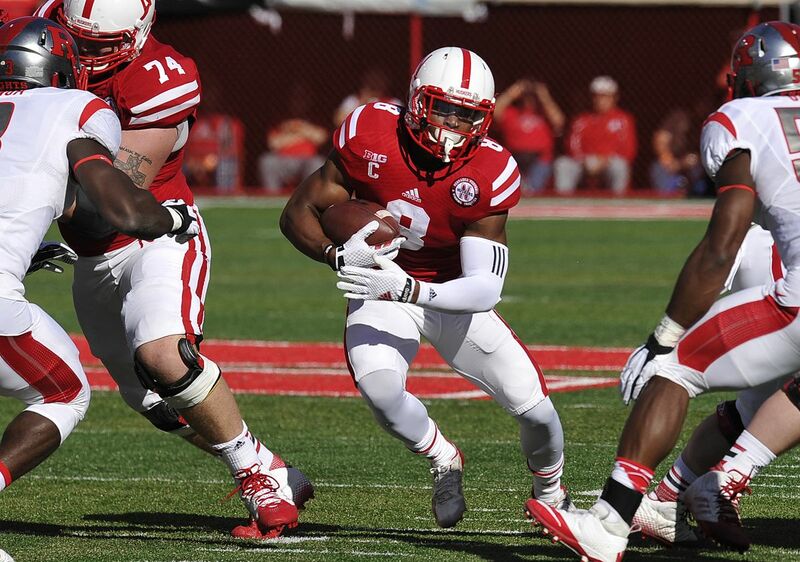 Ameer Abdullah finds a hole as Mike Moudy blocks. RUT: C.Laviano 5-54; R.Martin 6-32; D.Peoples 12-32; J.Goodwin 13-31; G.Nova 2-minus 6. NEB: A.Abdullah 19-225; T.Newby 10-30; I.Cross 5-28; T.Armstrong 6-19; TEAM 1-minus 10. RUT: L.Carroo 5-127; T.Kroft 2-18; R.Martin 1-21; C.Agudosi 1-18; A.Turzilli 1-12; M.Burton 1-8; D.Peoples 1-1. NEB: K.Bell 6-63; J.Westerkamp 3-40; A.Moore 2-26; A.Abdullah 2-26; S.Cotton 1-8. Abdullah carries Big Red: Ameer Abdullah produced a school-record 341 all-purpose yards, including 225 rushing, to power the No. 16 Huskers to a 42-24 win over Rutgers. Fellow senior Kenny Bell hauled in six receptions for 63 yards to increase his career total to 167 receptions to pass Nate Swift’s previous school mark of 166. 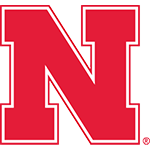 Abdullah’s performance included touchdown runs of 53 and 48 yards on back-to-back carries to power Nebraska to a 21-7 halftime lead. On his opening carry of the second half, he addeda 49-yard burst. • Nebraska receiver compares Rutgers to … Wyoming? Kenny Bell runs for yardage after a catch. Abdullah and Bell were worth the price of admission, which is a good thing because few others turned in an impressive performance. Sophomore defensive tackle Maliek Collins is beginning to put his name in consideration for All-Big Ten honors. It sounded like a coach who feels he has a team that’s almost ready to turn the corner. Are we too afraid to say this team is good enough to win the rest of its games, including the Big Ten title game? Why in the holy name of Cory Schlesinger, Husker Fan says, can’t Beck stick with what’s working? For Ameer, records are nice, but memories are more important. Without Abdullah, the Huskers would have little to no chance to push their way over the hump and end their 15-year league-title drought. The injury to Nova in such a high-risk vs. almost-zero-return situation could haunt Rutgers for the rest of the season. There is something Ripkenesque or Derek Jeter-like about No. 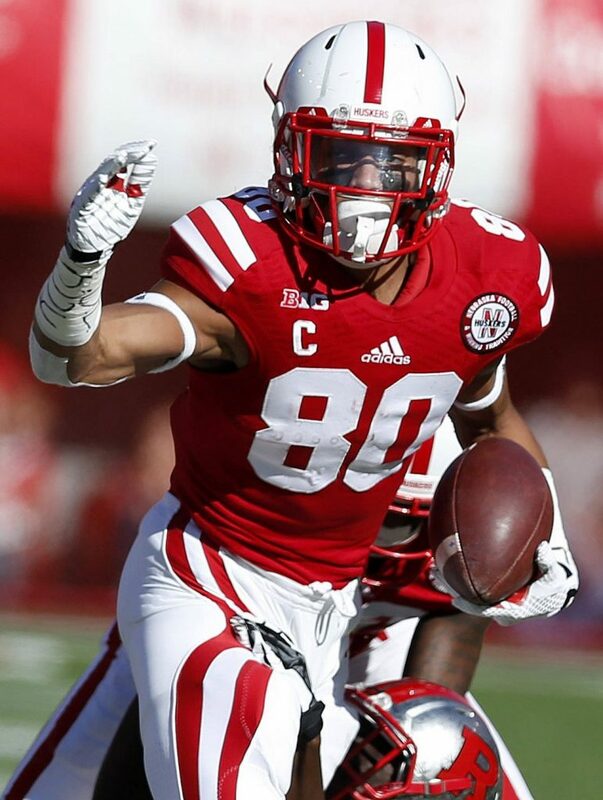 8 and his impact on Nebraska football.